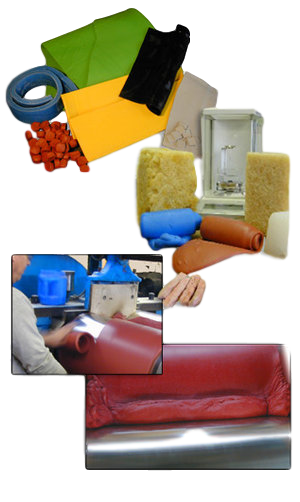 With a vast database encompassing thousands of formulations in all material types, Manville Rubber Products is certain to have the perfect material for your project. In addition, we are continuously developing new formulations to meet specific requirements from heat resistance to cold temperature set resistance to chemical resistance, abrasion resistance and everything in between. Provide us with the details of your application and our experts will review your project, suggest an existing material or develop a new one and provide samples as needed. Our materials lab operates to serve both development and quality assurance needs. From testing the physical properties of incoming raw materials to insure that they comply with specifications to certifying critical dimensions of finished components and new tooling, our lab is properly equipped and staffed to serve your needs. We practice full material traceability and can certify compliance to drawing specifications on all shipments. We supply materials meeting a wide array of national and international standards including: ASTM, MIL Spec., FED Spec., AMS, SAE, FDA, NSF, UL, CSA and others.